IT WAS on Valentine's Day this year when a celebration on a houseboat would end in a tragic twist. Jake Tasker and his friends were on the houseboat in the Nambucca River when friend Troy was found floating overboard, unconscious in the water. Admirably, Jake dived in to save him - but he hit a sandbank below, leaving him with serious spinal injuries. It was after 8pm when the Westpac Rescue Helicopter arrived on scene and flew Jake to Brisbane Royal Hospital where he was operated on for more than 10 hours. 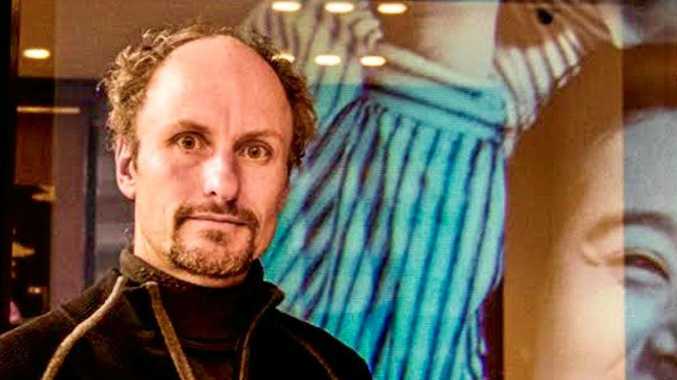 His family were told it would be highly unlikely he would walk again. Skip to today, and he's proving his diagnosis wrong. "We were told he wouldn't be able to use his hands and arms, and that he'd need to be in an electric wheelchair. But he's amazed everyone. He refused to have an electric wheelchair and uses a manual one,” mum Ali Tasker said. Now that Jake is back home, he's determined to walk again. Ali has worked for Westpac for over 21 years. 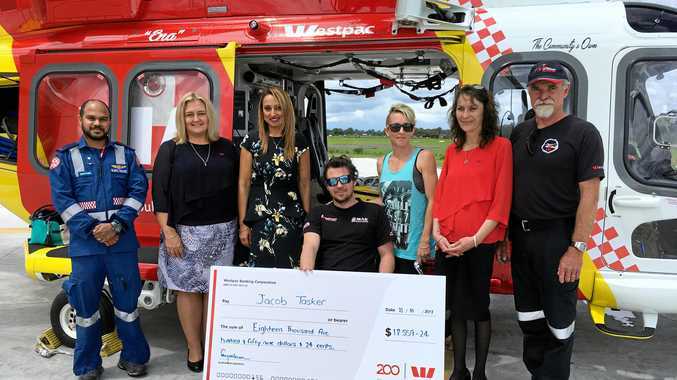 Westpac, through the support of their staff, worked hard to fundraise for Jake and his family and presented them with a cheque for $18,579 to help pay for Jake's therapy. Ali said the funds mean Jake can start learning to walk again through a rehabilitation clinic in Burleigh Heads. "The therapy is quite costly. We are so thankful for the funds, otherwise there was no way he could do this therapy,” Ali said.